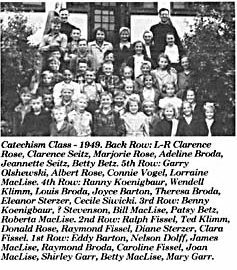 There are separate listings for the Roman Catholic church schools near Kamsack at Keeseekoose First Nation, (Treaty 4), but these refer to the same institution. 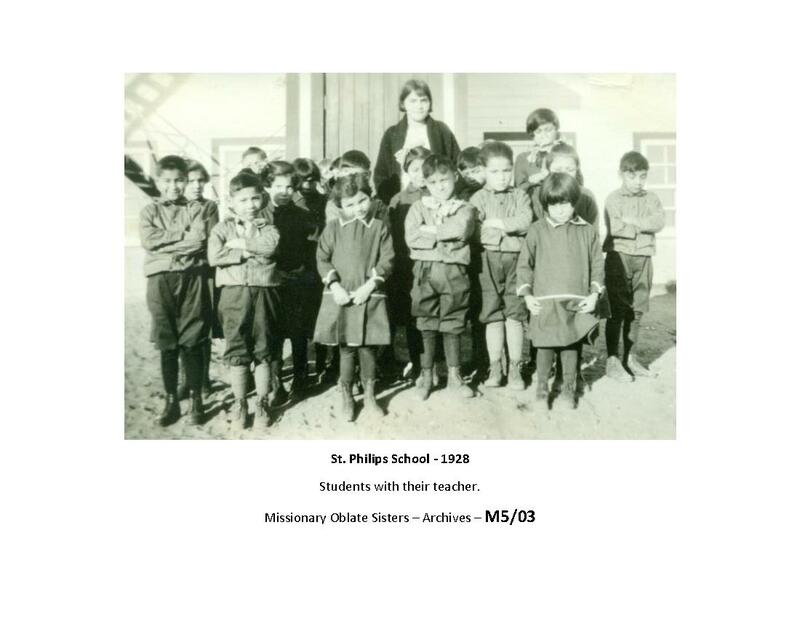 Fort Pelly school was established by Rev. Jules Decorby in 1895 on the Fort Pelly Trail, about two miles (3.22 kms) west of the St. Philips Mission. 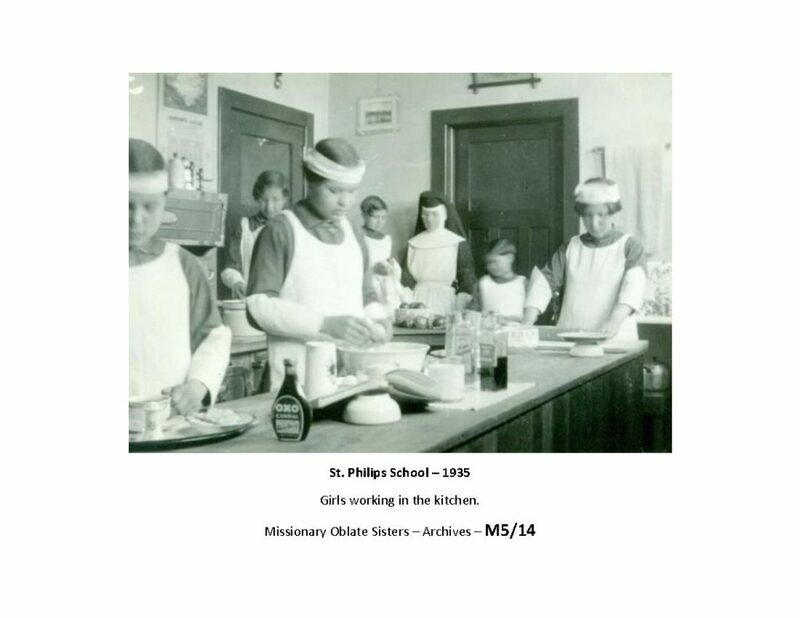 The government began paying per capita grants to the school in 1905. 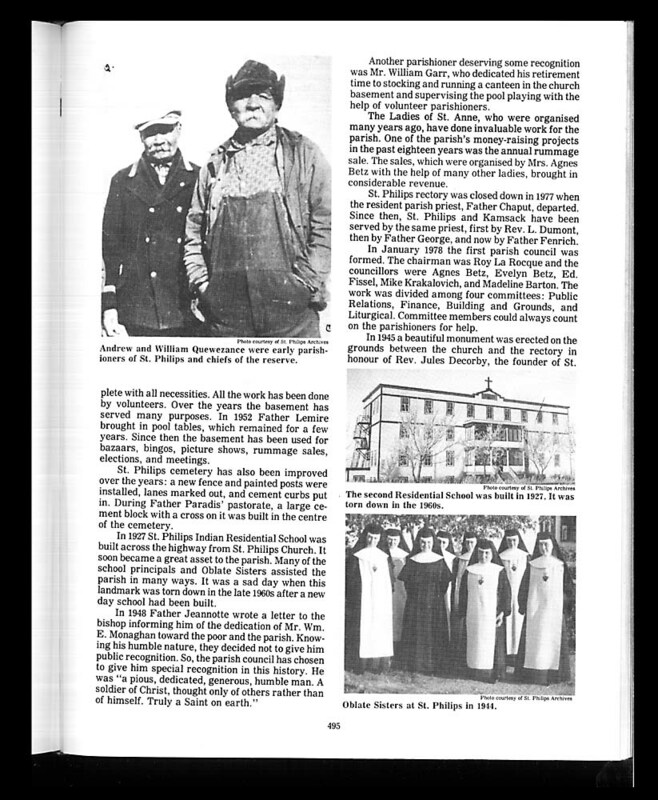 Fort Pelly closed in 1913 due to the ill health of its second principal, Father Ruelle, low enrolment, and poor conditions. 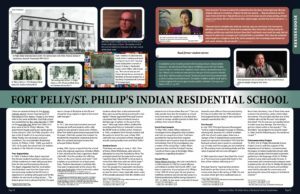 The second Indian Residential School, St. Philips, (1928 – 1969), was built in 1927. 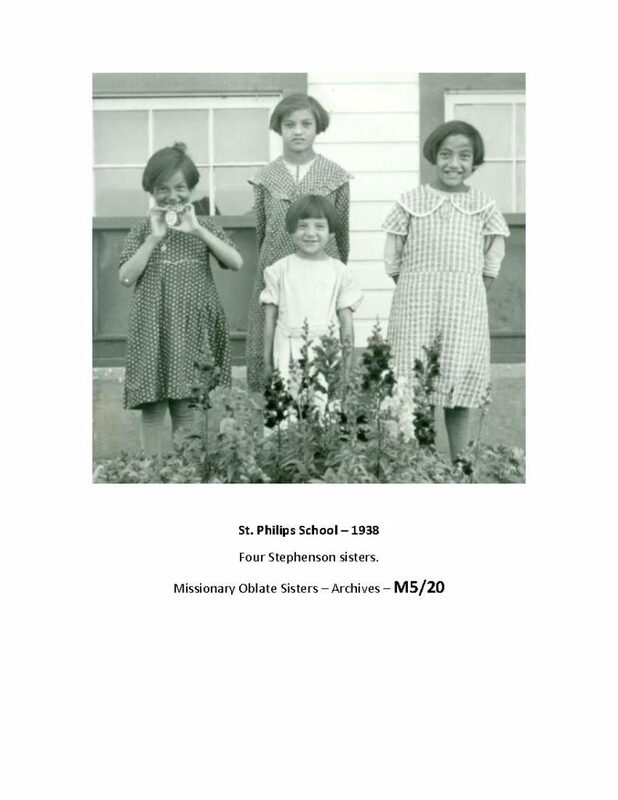 At it’s peak, the school had 132 resident students in the 1964/65 school year. 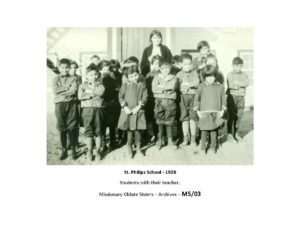 When I was taken to this residential school you know I experienced a foreign way of life that I really didn’t understand. I was taken into this big building that would become the detention of my life and the fear of life. 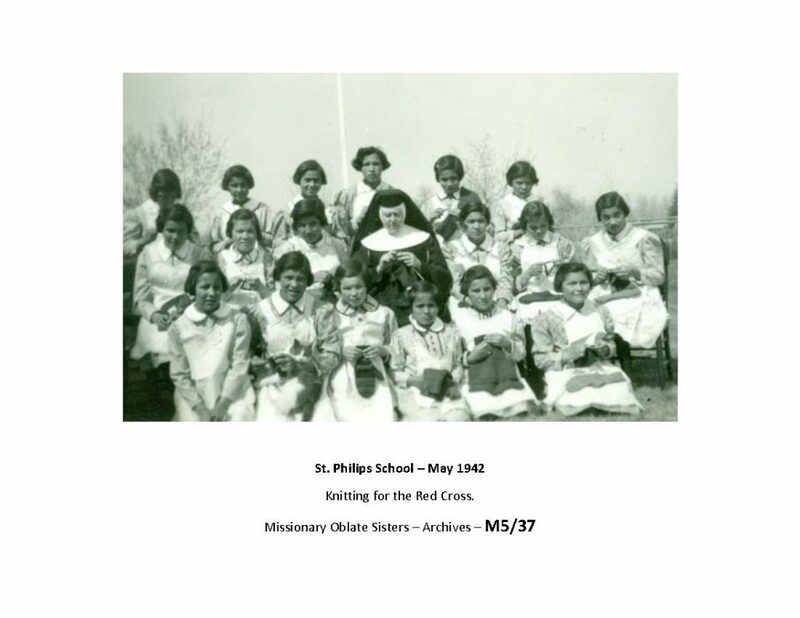 When I was taken to that residential school you know I see these ladies, you know so stoical looking, passionate-less and they wore these robes that I’ve never seen women wear before, they only showed their forehead and their eyes and the bottom of their face and their hands. Now to me that is very fearful because you know there wasn’t any kind of passion and I could see, you know, I could see it in their eyes. 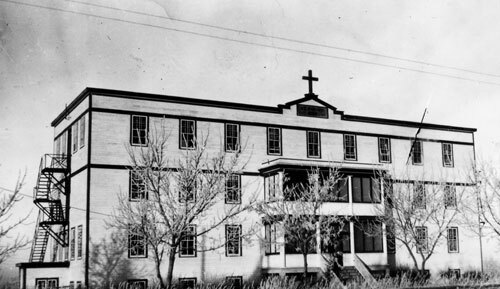 When I was taken to this residential school I was taken into the infirmary but before I entered the infirmary, you know, I looked around this big, huge building, and I see all these crosses all over the walls. I look at those crosses and I see a man hanging on that cross and I didn’t recognize who this man was. And this man seemed dead and passionate-less on that cross. I didn’t know who this man was on that cross. 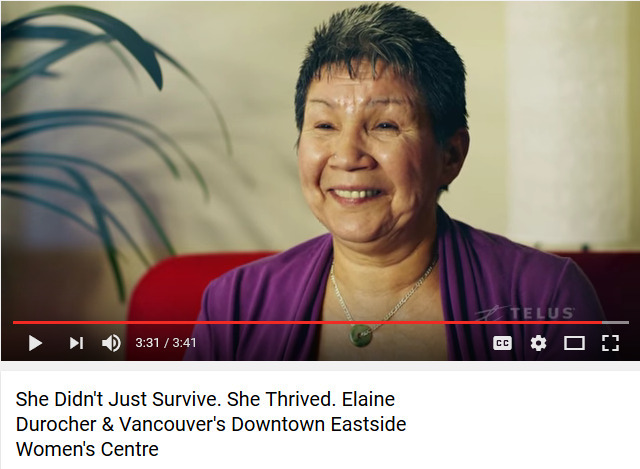 And then I was taken to the infirmary and there, you know, I was stripped of my clothes, the clothes that I came to residential school with, you know, my moccasins, and I had nice beautiful long hair and they were neatly braided by mother before I went to residential school, before I was apprehended by the residential school missionaries. And after I was taken there they took off my clothes and then they deloused me. I didn’t know what was happening but I learned about it later, that they were delousing me; ‘the dirty, no-good-for-nothing savages, lousy.’ And then they cut off my beautiful hair. You know and my hair, my hair represents such a spiritual significance of my life and my spirit. 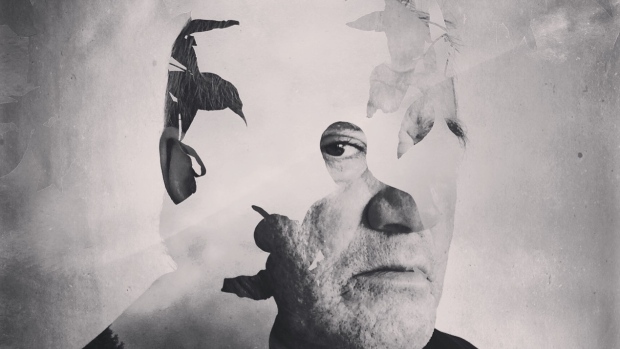 And they did not know, you know, what they were doing to me. You know and I cried and I see them throw my hair into a garbage can, my long, beautiful braids. And then after they deloused me then I was thrown into the shower, you know, to go wash all that kerosene off my body and off my head. And I was shaved, bald-headed. 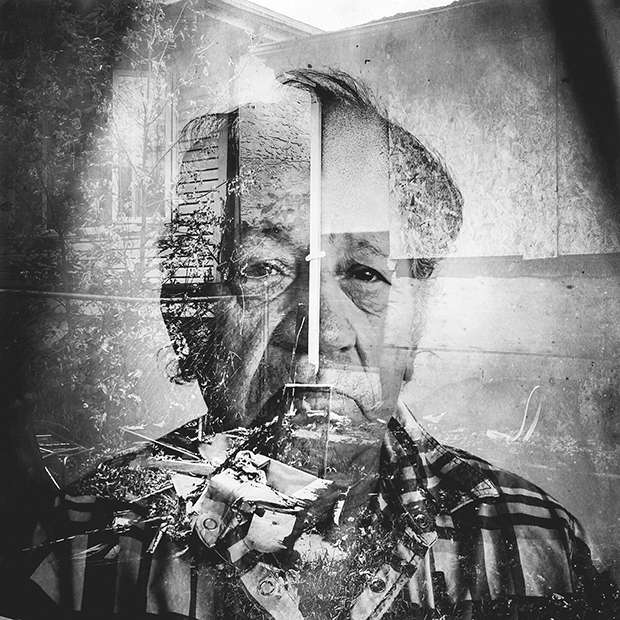 Andrew Quewezance went to St. Philips Indian Residential School in 1958. 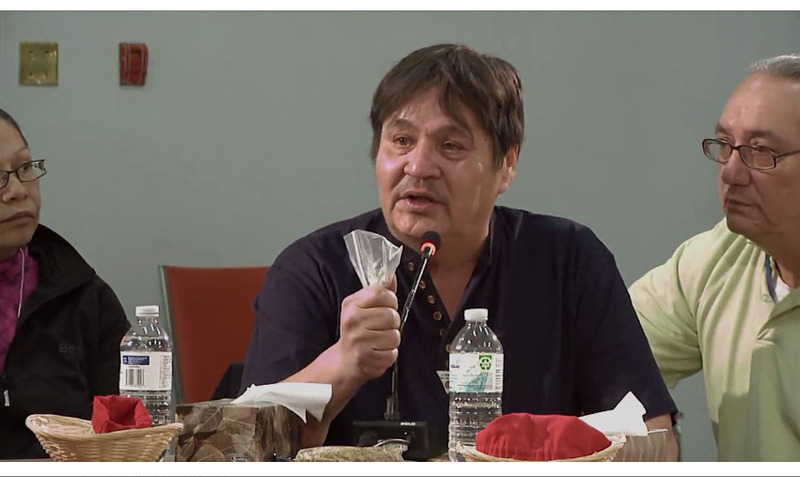 The following are some quotes from the Prince Albert NCTR hearings. 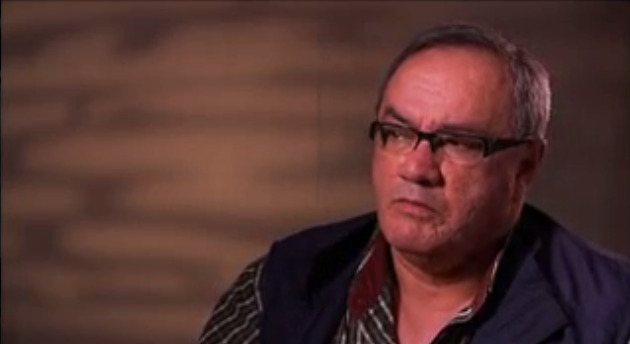 [At the beginning] “I introduced myself by my Indian name. You know why I was emotional? I was number 70, that is what I was known at school.